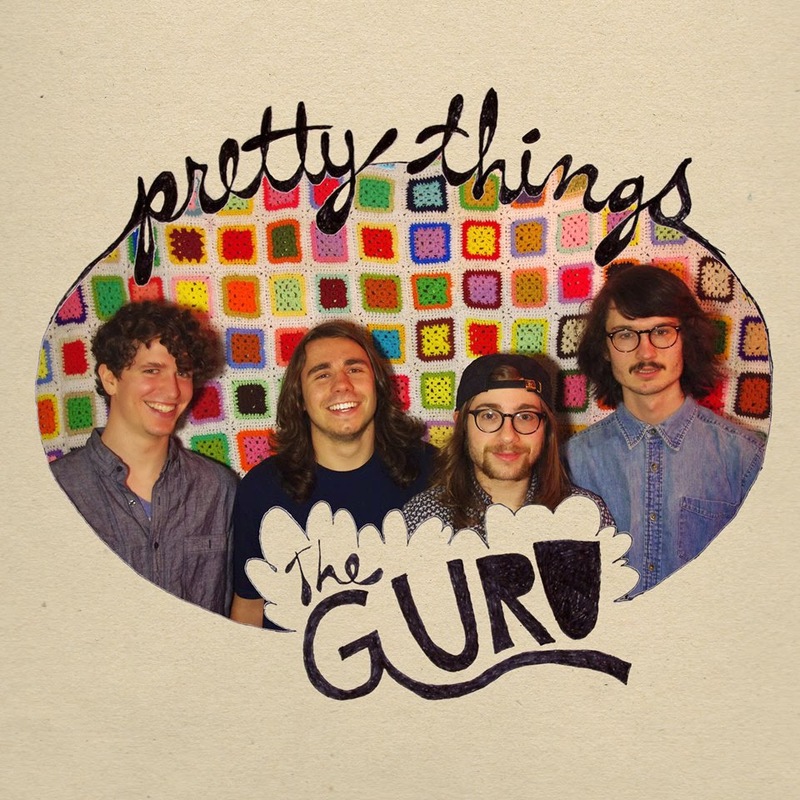 After 2 super successful EPs The Guru have returned with their new full length "Pretty Things", and its a solid and wonderful step forward for a group of best friends who make awesome music! Title track and opener "Pretty Things" starts everything off without hesitation. Immediately that Guru sound/vibe is there; jangly guitars, solid bass and drums and Eddie Golden III's trademark unhinged vocals. The mood on this song is notably moody, but not in a standoffish way. It shows a band prepared to make more complex sounds and push the boundaries of their songs. "Co-Desire" is another bright stand-out track. The vocals are inviting and innovative, and the guitar work is especially lovely. On the folkier "How I Love That Girl", they may take the energy down on the instruments, but the vocals are even more wild and spastic! So far all of these songs have the makings of a riotous good time in a live setting. "Golden Brown" is so good we just had to feature is on our CTIndie.com Summer Mix MMXIV last minute. The Guru was gracious enough to let us use it at a moments notice. The vocal melodies in this song are supreme, the energy and urgency of it just kick you right in the guts. A SUPER solid track all around. "Never Said" follows suit with its urgent energy, proving this band is exploring emotional complexity in their songs as well as deeper musical expressions. The chord progressions in "Nostalgic" are amazing, like funk/jazz infused indie rock of the highest caliber. The vocals are also supreme on this track. So far, in an album riddled with great tunes this one is my favorite! The kooky "Rejected Nunkie" is a jangly start/stop song brimming with rich tones and clever timing. It's an instrumental that isn't boring for even one moment. "California Girl" is a summer groover if I ever heard one. Sweet and low-down, like a car cruising through the afternoon heat. Eddie's vocals are cleverly more introspective for this song, which jives perfectly with the song's energy. "Better Off" returns to that danceable funk/soul flavor that The Guru is quickly mastering. While retaining some of that old Guru charm, this song is a perfect example of this NEW Guru: a wiser, more accomplished group of best friends willing to challenge themselves on all levels. The somber "Some Things Die" has more wonderfully textured vocals by Eddie, flush with minor harmonies and deep dark introspection. The guitar work on this one is also equally affecting. Closer "The Parrot" really ties the whole thing together. Eddie hollers about feeling his age, which could be an ironic statement from a songwriter who is aging like wine, who's band grows noticeably on each recording they release. I hope he feels his age in a good way, and feels he has come into his own with his best friends. All of the contributors to this album are specialists in their field, experts of something very specific. The Guru have released an incredibly solid LP and continue to grow and gain steam as the days go on. Here's hoping that doesn't stop anytime soon, or ever.